Photo: "Giraffes" by blogTO Flickr pooler John Pee. Toronto water-lovers are rejoicing following our bronze medal win. Our tap water fared well in a tasting competition involving 11 North American cities yesterday. A pilot project testing of "Presto", a pre-paid debit card pilot project, will soon begin on TTC, Mississauga and GO Transit. No surprises here - the TTC is the only transit system of the bunch that hasn't yet fully committed to the project. Toronto's "cultural renaissance" continues, and the AGO is now set to offer new citizens to Canada a free one-year membership to the gallery. The City is jousting with the Kiwanis Club of Casa Loma over control of the historic castle. I hope they don't plan to light it up with multi-coloured LEDs. Friday will mark a nation-wide day of protest by aboriginals, but the protest buzz has begun early. A 9-metre tall teepee has been erected in Queen's Park, and there's talk of blockades between Toronto and Montreal leading up to the long weekend. Recognize this part of the city? Post your answer in the comments, and check for the answer in tomorrow's blogTO Morning Brew. 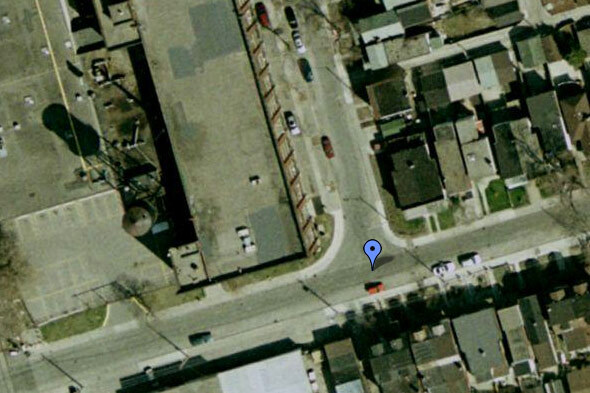 Yesterday's answer: Sherbourne at Elm/Maple.